Create the soft look of applique without all the work. Each pinwheel flower and leaf is made with simple piecing. 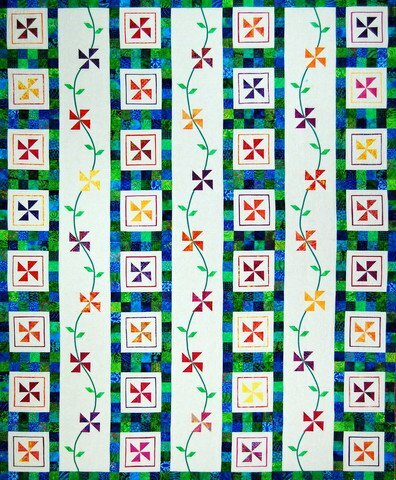 Green 1/4" fusible Clover bias tape is used for stems on the flower panels. Finished size 78" x 96"